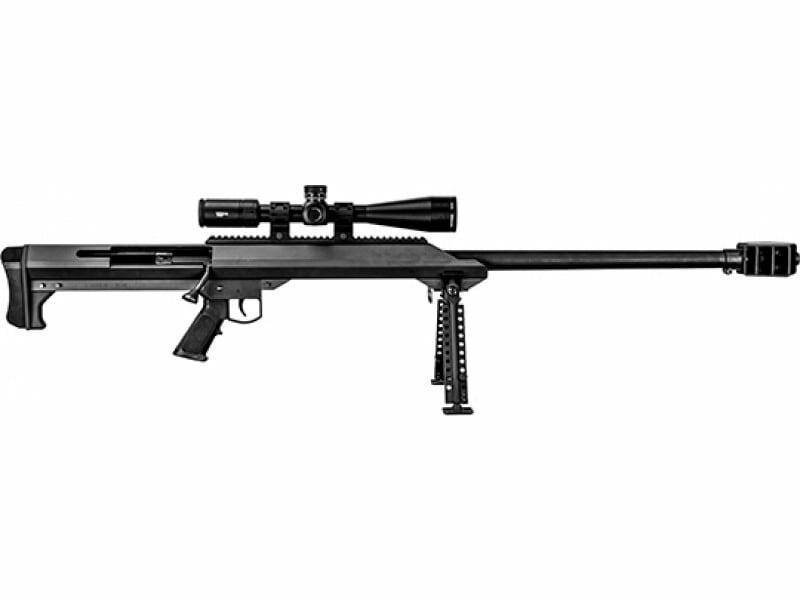 Barrett 18640: The .416 Barrett caliber brings new levels of precision shooting to the Model 99. With the enhanced accuracy and increased velocity of the .416 Barrett cartridge, this rifle offers incredible long-range precision. The bolt is machined from a single piece of S-7 tool steel. The action's strength is exemplified by the 15 bolt lugs that lock into the machined barrel extension. The bolt's few moving parts make it reliable and easy to maintain. This model comes with a Vortex VIP 5-25x56mm scope.